In the new Dungeons & Dragons adventure, Curse of Strahd, players travel to Castle Ravenloft to face the evil forces of the vampire Strahd von Zarovich. 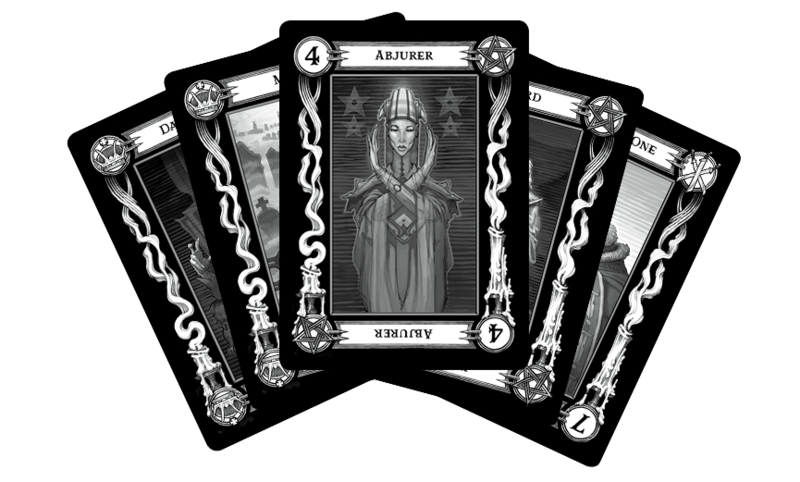 Most important to the 5th edition adventure is the Tarokka Deck, a deck of cards that tells fortunes and guides the players through the adventure. In Curse of Strahd, the mysterious Madam Eva reveals your fortune and tells you where to find the tools and friends to defeat Strahd within the land of Ravenloft. The 54-card deck has gorgeous art from Chuck Lukacs, and it has slowly been revealed by the official D&D Twitter account. The cards have been seen already, but we also love the “fortunes” from the adventure that will help guide adventures through Ravenloft. The cards are divided into five suits: Stars (magic), knives (warriors and combatants), crowns (evil), seals (townsfolk) and runes/holy symbols (priests). What do you think of the deck? Pre-order a tarokka deck from Gale Force 9.